I want to make dress up games in unity. i have done all the part of dress up to wear cloths , earning , hair , lips etc. But how can i apply makeup on the face as you see in the picture. I want to apply the makeup on the face using brush and i also want to remove makeup from the face when i use the shower. 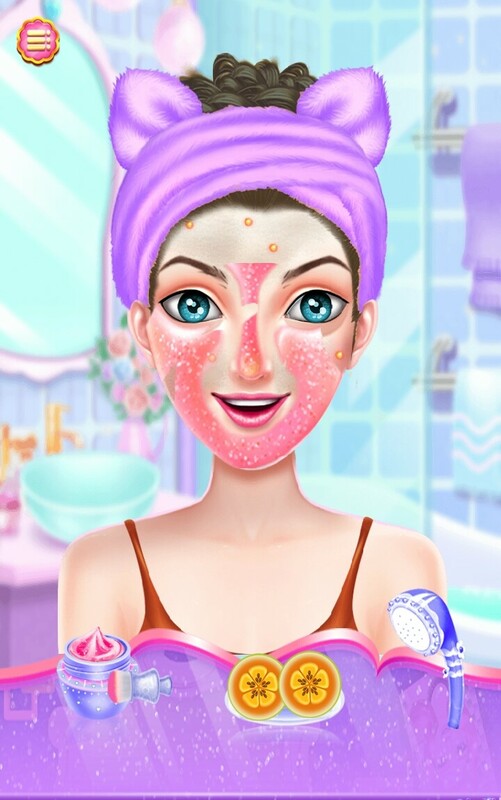 Makeup you see on the face is just image, i want to draw image on the face where i touch using brush on the face and remove only part of the image where my shower touch the sprite. can anyone help to do this? or anyone have done this in past? Thx for your suggestions but i am already doing this. now i want to implement image draw and erase like we see in the all the dress up games. i have already done in the cocos-2dx but i dont know how to do this in the unity3d. If you use sprite approach - consider using "Sprite Mask" (https://docs.unity3d.com/Manual/class-SpriteMask.html). If you create you game in Canvas then use "Mask" component (https://docs.unity3d.com/Manual/script-Mask.html). Both approaches worker well for me in the past.